It is such a pretty scene. Shame we have to shovel it, though! Terrific capture. Hope your electricity stayed on and you're nice and toasty warm inside. it's a magic world... just a dream..
but I hope it was not too bad .. I hope is getting better now. That's much more snow here than I've ever seen in my entire life!Soooo beautiful, a real postcard! Hope you are warm and safe. Fabulous shot! And congrats to you for venturing out in that weather. I bet it was chilly! 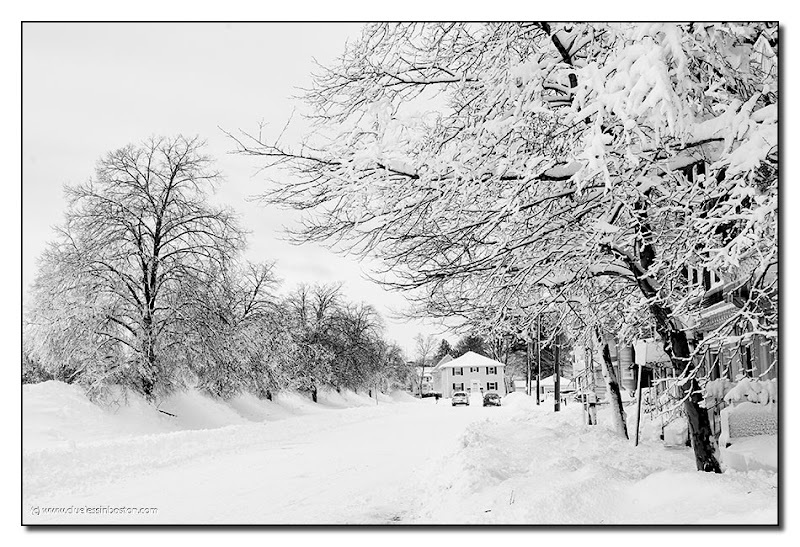 Pretty picture and nice memory of the Blizzard of 2013. We got hammered here on Long Island...with up to 34" in some towns....some people just got their street plowed out today. yikes! Awesome picture!It's freezing cold there, please stay warm! All I can say is that you guys are used t it, so it can stay over there; pretty though. You've captured a nice memory --- the beautiful part of a snow storm.